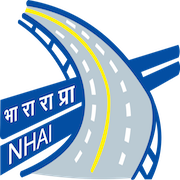 Online Application Details for National Highways Authority of India NHAI Recruitment of 4 General Manager is given below. Application form and duly attested documents are to be sent to Shri Rajeev Ranjan Khan, Manager (HR/Admn)-I, HR/Admn Division-I, National Highways Authority of India, G-5 & 6, Sector-10, Dwarka, New Delhi-110 075. In envelope super scribed with 'Application for the Post of Post Name'.